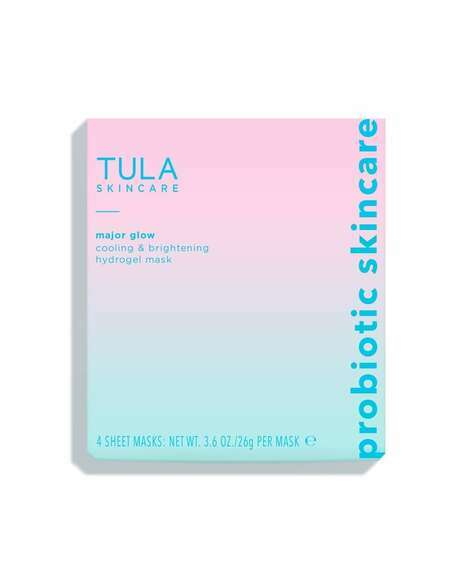 In just 10 minutes, consumers are able to revitalize their complexion with the Major Glow Cooling and Brightening Hydrogel sheet mask from Tula. The mask is infused with superfood ingredients and probiotics, which work to even out the skin tone and texture, while hydrating it deeply. At the same time, the sheet mask exfoliates, revealing smoother skin that perfectly prepped for serums and moisturizers as well. With a jelly-like texture, the mask instantly cools the skin when it’s applied, an element that can be enhanced by placing it into the fridge before use. To more evenly coat the face, the sheet mask is split into two parts, with half covering the forehead, eyes, and nose, and the other covering the cheeks and jaw.